Our room Coquelicot is bright and spacious (19 m² for the room 30 m² in total). Equipped with a double bed (160 x 200 cm), it can accommodate one person or a couple in a cozy comfort. The room has private toilets and bathroom. It has its own entrance and an access to the dining room where breakfast is served. The bathroom has two sinks and a bathtub of 1.80m. Don't forget to use the coupon code "Direct" to get your 10% discount. Accommodation facilities: Private entrance, separate toilet, bathroom with 180 cm bathtub, queen size bed, south facing, Wifi. Prepayment: The full amount is due at booking time. In July and August, the minimum stay is 2 days. Our room Mandarine is very spacious (22 m² for the room 36 m² in total), with nice volumes, stone walls and exposed beams, it is equipped with a double bed (160 x 200 cm), a single bed (80 x 200 cm) and on demand, an extra bed (80 x 190 cm) to accommodate a fourth guest. Accommodation facilities: Private entrance, bathroom with 180 cm bathtub, separate toilet, queen size bed, single bed and extra bed, Wifi. 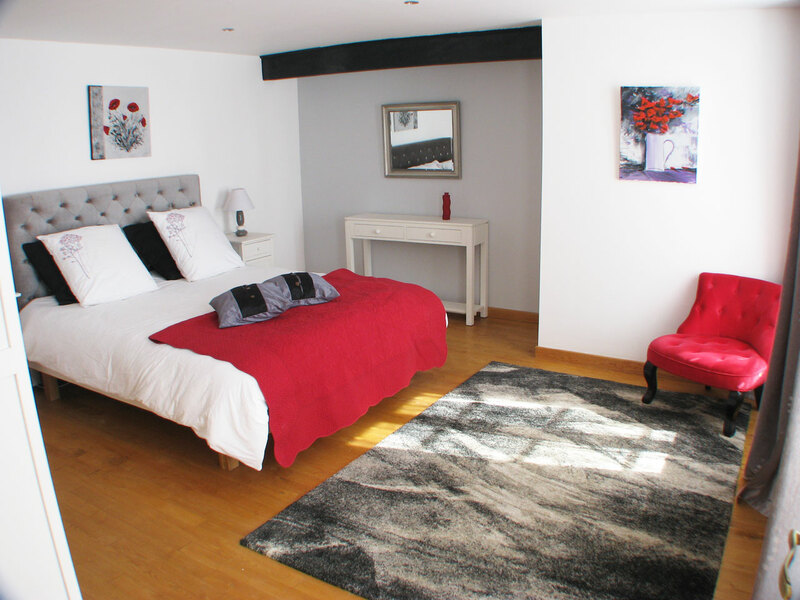 Both our b&b rooms have a private and separate toilets and bathroom as well as its own entrance and an access to the dining room where breakfast is served. Both our b&b rooms are equipped with a queen size bed (160x200). 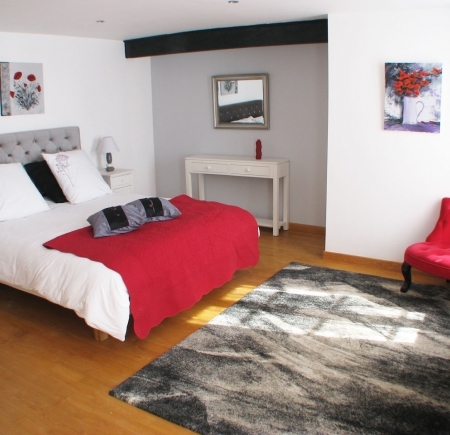 Mandarine also have a single bed, plus an extra bed that can be set to accommodate a fourth guest. All b&b rates are breakfasts included. Breakfast is served at the time you like between 8am and 10am. The total amount of the stay will be requested at the time of booking. - up to 15 days before the arrival date, this sum is fully refundable. - less than fifteen days from the date of arrival, no show or shortened stay, this sum is not refundable and will remain fully due. We accept the following payment methods: cash, bank transfer, and credit cards via PayPal. Prices are for one or two people. The Mandarine room can accommodate up to four guests. Add 15 € per additional person. Only dogs: +5 € per night.